Unions representing Ryanair cabin crew based in Spain, Portugal, Belgium and Italy said Monday they would go on strike this summer unless the low-cost airline accepts their demands by a June 30 deadline. After a meeting in Madrid, the unions reiterated demands that Ryanair staff be employed according to the national legislation of the country they operate in, rather than that of Ireland as is currently the case, Spain's USO union said in a statement. They also asked that the airline give contractors the same work conditions as its own employees. Finally, they demanded that Ryanair recognise unions for pilots and cabin crew and that it negotiate with a representative chosen by the unions and not the company. So far, the airline has only recognised two unions—Britain's Balpa pilots' union and Italy's Anpac, which represents pilots and cabin crew. "If Ryanair refuses to meet these demands, and setting June 30 as a deadline, the unions will start all necessary procedures to mobilise at a European level for the summer, including calling a strike," USO said. 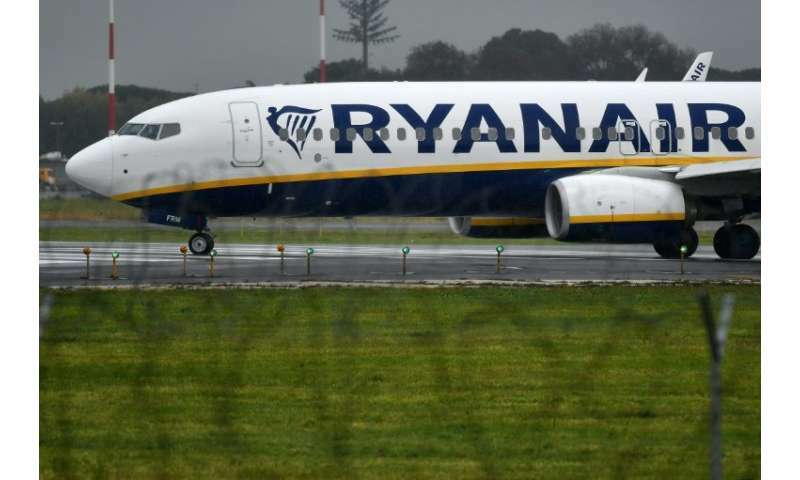 Antonio Escobar, from Spain's Sictpla union that represents part of Ryanair's crew, told AFP another meeting would take place on July 3 and 4 in Dublin if the airline refuses to accede to their demands, in which they will announce a date for a strike. The airline was not immediately available for comment.